Many undergraduate students in our department participate in optics research, as exemplified below. Supported by Optics, Optics Lab, Applied Optics, and Electromagnetism courses, students develop both theoretical and practical understanding of optics. Our optics faculty work on many interdisciplinary projects involving biophysics at the intersection of physics and biology. They also develop tools to improve health, environment, and safety. Students participating in research under the supervision of the optics and biophysics faculty members come from various science and engineering departments in addition to Physics and Astronomy. Therefore, students not only learn the science while they are engaged in their projects, but they also learn how to work with diverse teams. During research, students greatly improve their lab and computational skills, which become invaluable for their future studies and jobs. Assistant Professor Krishna Sigdel uses Atomic force microscopy to probe the biomolecules in single molecule level. He studies the structure and dynamics of membrane proteins in near native environment and at physiological condition. Dr. Sigdel is currently developing his lab and will be installing an atomic force microscope to study membrane proteins. His research is fully interdisciplinary where student from Physics, Engineering, Chemistry/Biochemistry, and Biology can work. 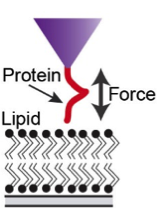 Dr. Sigdel also collaborates with Dr. Arthur Roberts from College of Pharmacy, University of Georgia, Athens to study membrane protein-drug interaction and Prof. Steve White at University of California Irvine for membrane protein-lipid interaction studies. Professor Alex Small studies two simple questions: How much information is carried by a beam of light, and how can we use this knowledge to extract information from a live cell? Dr. Small studies the fundamental limits to superresolution microscopy, a family of fluorescence techniques that enable imaging of cells at nanometer resolution, revealing details not accessible to a conventional light microscope. As a theorist, Dr. Small’s work is mostly focused on understanding the theory that replaces Abbe’s diffraction limit, understanding the ways in which image analysis algorithms work with superresolution, and developing and benchmarking computational tools for superresolution. Additionally, Dr. Small has projects in light scattering (developing analytical and computational tools for studying scattering from particles in novel geometries) and percolation theory, focused on percolation in networks with novel structures applicable to new materials systems, and also applying some percolation insights to theoretical work on superresolution. Professor Ertan Salik develops fiberoptic biosensors for detection of proteins, viruses, and bacteria for applications in medical diagnosis, food safety, environmental monitoring, and biodefense. Dr. Salik’s lab is a truly interdisciplinary place filled by students majoring in various disciplines, such as, Physics, Biology, Electrical Engineering, and Mechanical Engineering. Dr. Salik’s lab is equipped with instruments and supplies to conduct his interdisciplinary research. Some of the instruments in the lab include multiple optics tables, numerous opto-mechanical and optical components, lasers, laser controllers, and optical spectrum analyzer (350-1700 nm), optical fiber components (couplers, amplifiers, polarization controllers, modulators, etc) , a 3D printer, oscilloscopes, function generators, a refrigerator/freezer, analytical balances, fume hood, microcentrifuge, hybridization oven. Professor Nina Abramzon uses optical emission spectroscopy to study different plasma characteristics, such as composition and temperature. Dr. Abramzon studies the effects of atmospheric pressure plasmas on sterilization of biofilms, and spores. 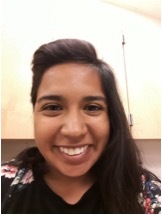 She also studies surface modification using gas discharge plasma. The applications of the surface treatment work include biofilm growth prevention on prosthetic replacements and enhancement of the binding of antibodies to glass surfaces. Dr. Abramzon collaborates on these projects with faculty from Biology, Physics and Material Science. Some of the instruments in Dr. Abramzon’s lab include three SURFX atmospheric pressure plasma reactors and various spectrometers including Optics spectrometers HR 4000 Ocean and an Acton SP2156 Spectrometer with PIXIS100 CCD detector. Professor Steven McCauley has worked in the areas of nanosecond and picosecond spectroscopy for photosynthetic systems and in other areas of Biophysics. His current interests include protein folding and acoustic lensing. Professor Kurt Vandervoort has collaborated with faculty in physics and biology to study the effects of gas discharge plasmas on bacterial biofilms. He works with student coworkers to use an atomic force microscope to image the bacteria before and after plasma treatment. In addition, the "probe" of this scanning probe microscope is used to ascertain the micromechanical properties of the individual bacterium. Along with instrumentation designed for other research (see Solid State Physics) Dr. Vandervoort's lab houses the Quesant atomic force microscope. Small, A.R. and Stahlheber, S.P., The Role of Image Analysis Algorithms in Super-Resolution Localization Microscopy, (2014) in Advanced Fluorescence Microscopy, edited by Michael Conn and Anda Cornea, published by Elsevier, p. 227-242. Yoo, T. Y., Tran, J., Stahlheber, S. P., Kaainoa, C. E., Djepang, K., and Small, A. R., Site percolation on lattices with low average coordination numbers, (2014) Journal of Statistical Mechanics: Theory and Experiment, P06014. Small, A.R., Parthasarathy, Superresolution Localization Methods, (2014) Annual Review of Physical Chemistry, 65, 107-125. 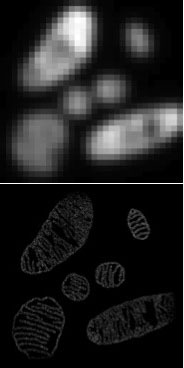 Stahlheber, S.P., Small, A.R., Fluorophore Localization Algorithms for Superresolution Microscopy, (2014) Nature Methods, 11, 267-279. Small, A. R., Fung, J., Manoharan, V.N., Generalization of the optical theorem for light scattering from a particle at a planar interface, (2013) Journal of the Optical Society of America A, 12, 2519-2525. R. Starr, S. Stahlheber, A. Small, Fast maximum likelihood algorithm for localization of fluorescent molecules. (2012) Optics Letters, 37, 413. Z. Guo, C. Boyter, G. Cohoon, E. Salik, and W.-J. Lin, “Detection of Botulinum Neurotoxin by a Tapered Fiber Optic Biosensor,” (2011) GSTF International Journal of Bioinformatics and Biotechnology, 1, 1. A. Small, Model of bleaching and acquisition for superresolution microscopy controlled by a single wavelength. (2011) Biomedical Optics Express, 2, 934. E. Shore, A. Small, Optimal acquisition scheme for subwavelength localization microscopy of bleachable fluorophores. (2011) Optics Letters, 36, 289.